Ashley Woodward works Tuesday, January 5, 2016 at Style Encore near Hamilton Place. Kurt Morris knew nothing about selling clothes in 2008 when he and his brother, Ken Morris, bought Plato's Closet near Hamilton Place mall. The brothers, who build and renovate houses, heard through their real estate dealings that they could get a good bargain on the only Chattanooga outlet of Plato's Closet, a national chain that buys and sells "brand-name, gently-used" clothes targeted at young women and men. 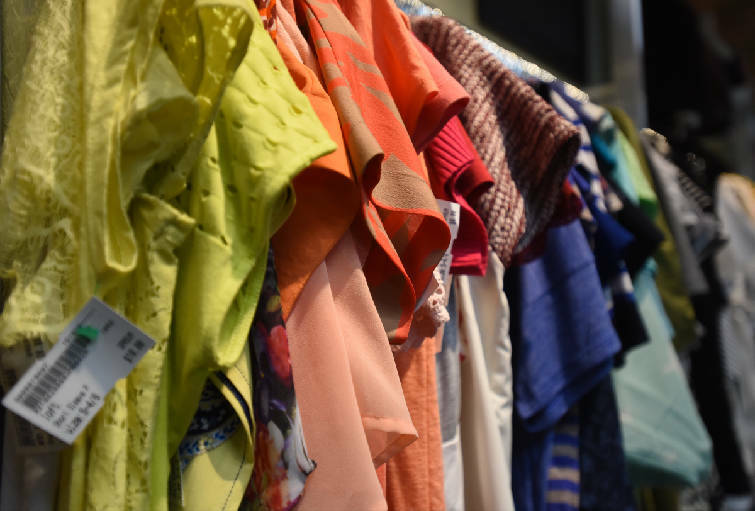 Items fill a rack Tuesday, January 5, 2016 at Style Encore near Hamilton Place. The Chattanooga Style Encore at 2200 Hamilton Place Blvd. near the Kanpai of Tokyo Japanese restaurant will be open from 10 a.m. to 8 p.m. Monday through Saturday and noon to 5 p.m. on Sunday. For more information, visit www.style-encorechattanooga.com, or call 423-661-3400. The Chattanooga store has gone from a money-loser when the brothers bought it, Morris said, to the first- or second-best performing store by square footage among the more than 400 Plato's Closets around the United States. "It's been fun," he said of owning the store. "I've been pretty lucky with a really good staff and really good managers." Today, the brothers will open a sister store next door: Style Encore, which offers "gently used" casual and professional clothing targeted at women in their late 20s and older. Morris thinks there's demand for Style Encore, which is franchised by Winmark Corp., the same company that franchises Plato's Closet and other resale chain stores: Play It Again Sports, Once Upon a Child and Music Go Round. "Plato's has been very successful in this market, and we had a lot of customers come that liked the concept but were outside our demographic," Morris said. While today will be the first day that Style Encore will sell clothes, it's been buying them since the fall to build up the store's inventory. "We're pretty full. It's getting tight in some places," said Hannah Maples, who's one of the store's buyers. 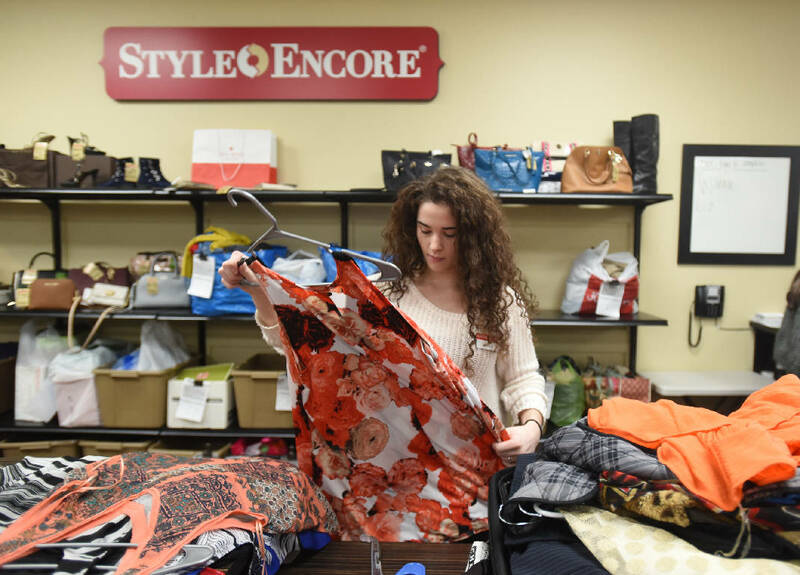 As of Tuesday afternoon, Style Encore had done 2,304 purchases, she said. Style Encore typically buys current items with no stains or excessive wear that have been in retail stores within the past 12-to-18 months. Both Style Encore and Plato's Closet pay "cash on the spot" for used clothes and accessories. The stores sell merchandise at 50 to 70 percent off retail, Maples said, and customers get 30 to 40 percent of that. The amount that people are paid for used items is computer-generated, she said. "People are usually very happy," Maples said. Kurt Morris, 35, and his brother Ken Morris, 40, grew up in Chattanooga and own two other businesses here, Painter Ready, a painting business, and Builder Ready, a contracting business. The brothers just broke ground on three homes in St. Elmo. Contact staff writer Tim Omarzu at tomarzu@timesfreepress.com or www.facebook.com/MeetsForBusiness or twitter.com/meetforbusiness or 423-757-6651.